I have been blessed to be surrounded by family during Connor's grand entrance into the world. I am not sure what I'd do if my mom wasn't here to help... especially considering I have two now! 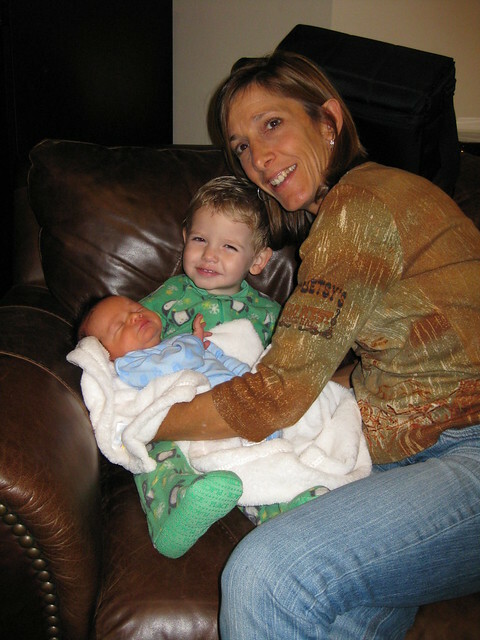 My boys sure do love their Gigi! PS-- Brayden now "smiles" for the camera... is that not hilarious?!? !